Our Jax Beach location is at 4004 S. 3rd Street Unit 7, Jacksonville Beach, FL 32250. The Jax Beach office is located in the South Beach Regional Shopping Plaza, near the Bed Bath & Beyond. The staff at Jax Beach care about the success of each and every client! The center manager has lost over 30 pounds on the program and loves to help her clients achieve the increased energy, improved self-esteem and well being that she has experienced by following the plan. They all work with their clients one-an-one to ensure they are happy, losing weight quickly and feeling their best! This is why their clients are living the Slim Life! 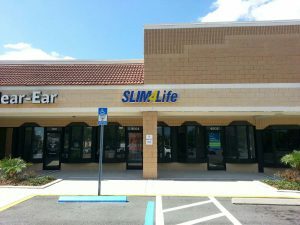 Make an appointment at our Jacksonville Beach weight loss center today!